Hey there! Thanks for dropping by LIFE's STORIES, ADVENTURES & TRAVELS! Take a look around and grab the RSS feed to stay updated. See you around! s.a. 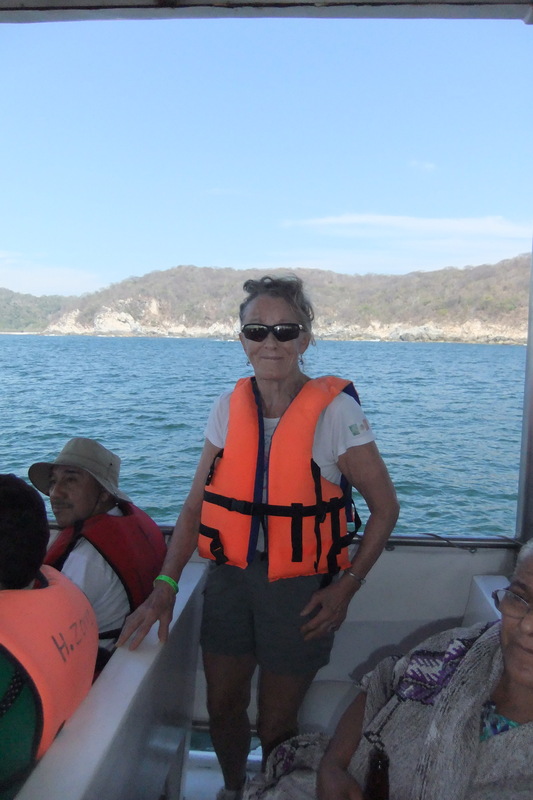 Previous post MEXICO TRIP TIPS. 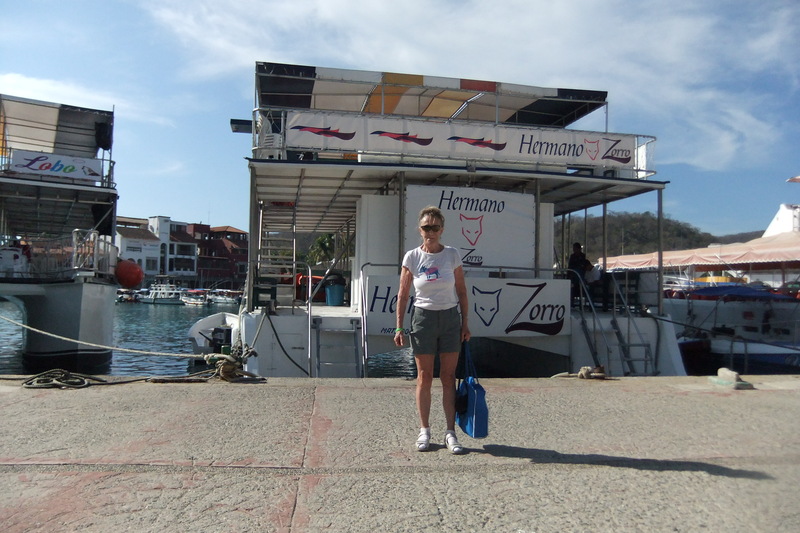 This southern Pacific area, Huatulco, is a large tourist area, full of many hotels and resorts, they also sell condos here. It has expanded in scope tremendously over the years. Most of the infrastructure along the many bays now consisting of hotels. Not long ago there was only desert. Seems construction here is never ending. 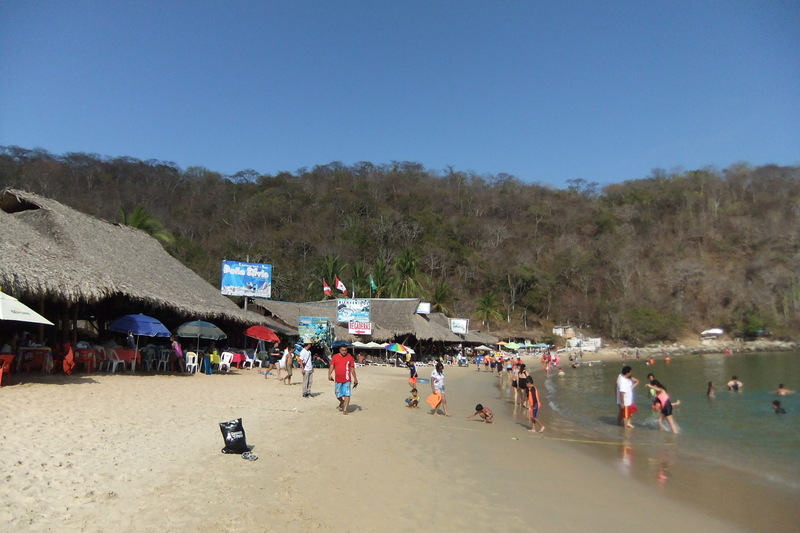 Because of the vicinity of Mexico City (only an hour’s flight from Huatulco), the majority of visitors hail from there, families with small children. Of course, there are also resorts for Canadians, as well as the obligatory American Holiday Inn. 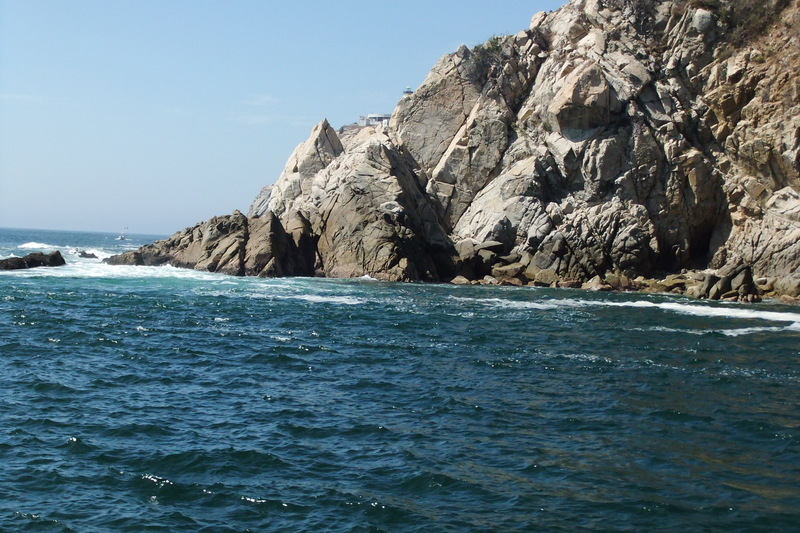 The entire bays area received apparently the UNESCO Biosphere and other ecological accreditations. Large areas here ecological reservations. Although one gets good return for dollars, prices are not low. Some restaurant prices are comparable with ours on Canada’s Westcoast, which is one of the most expensive. The cost of a taxi for a 20 minute ride is 30 $MXN. That’s cheap. There are also regular bus services to further away areas. A BF here would be around 60 or more, that’s like over 5 C$. Ice cream the same, a piece of cake more. Dinner on the average from small $140 MXN to anywhere up to 300 per meal. The breakfast that’s included with our hotel stay is mostly taco with some cheese sprinkled on top and always eggs, coffee, a fruit plate or orange juice, the fruit always water melon and papaya. Bread around here always only white bread. Weekends buffet, lots of food. I get from the small store tomatos, also found apples, bananas are the other staple fruit. Coffee with milk, often coconut milk, very sweet. Saturday’s market stuff is cheaper, but not much variety. In the nearby little town La Crucecita found a pastelaria selling pastries. Still no brown bread. Of course lots of seafood and fish. Not bad.